"Fun Name - even better consultants"
Super friendly team of hardworking professionals. Are able to get into the SFDC weeds deeper than we are. So I'd say that by learning what each team did best, we better leveraged our skills to provide the best value back to the customer. Always a challenge managing time and commitments to projects and customers, but these guys nailed this relationship. One thing about partners in this space is we would always prefer for them to get a certified person on their staff, but I realize this isn't in the cards for most. What Oracle Database Consulting solution do you use? 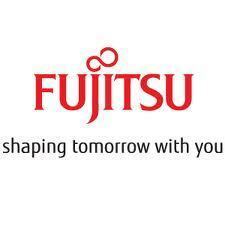 * We monitor all Fujitsu Consulting reviews to prevent fraudulent reviews and keep review quality high. We do not post reviews by company employees or direct competitors. Validated reviews require the user to submit a screenshot of the product containing their user ID, in order to verify a user is an actual user of the product. Hi there! Are you looking to implement a solution like Fujitsu?